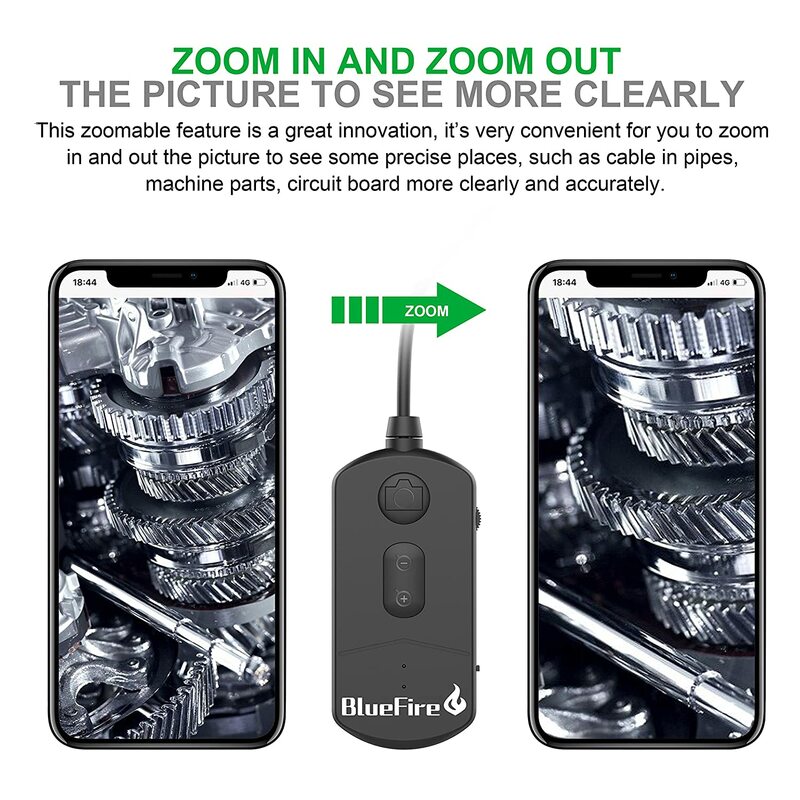 【Zoomable Picture Feature】You can zoom in or zoom out the picture or video to inspect some dark areas more clearly and accurately, you just need to press the "+" or "-" button to adjust it, which has 3 enlarged and narrow modes. 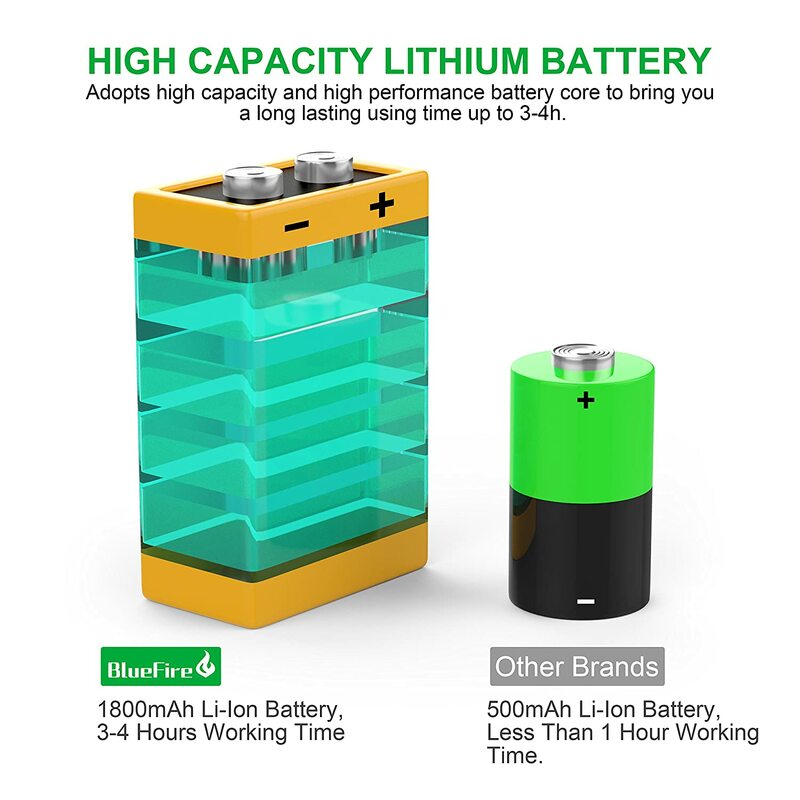 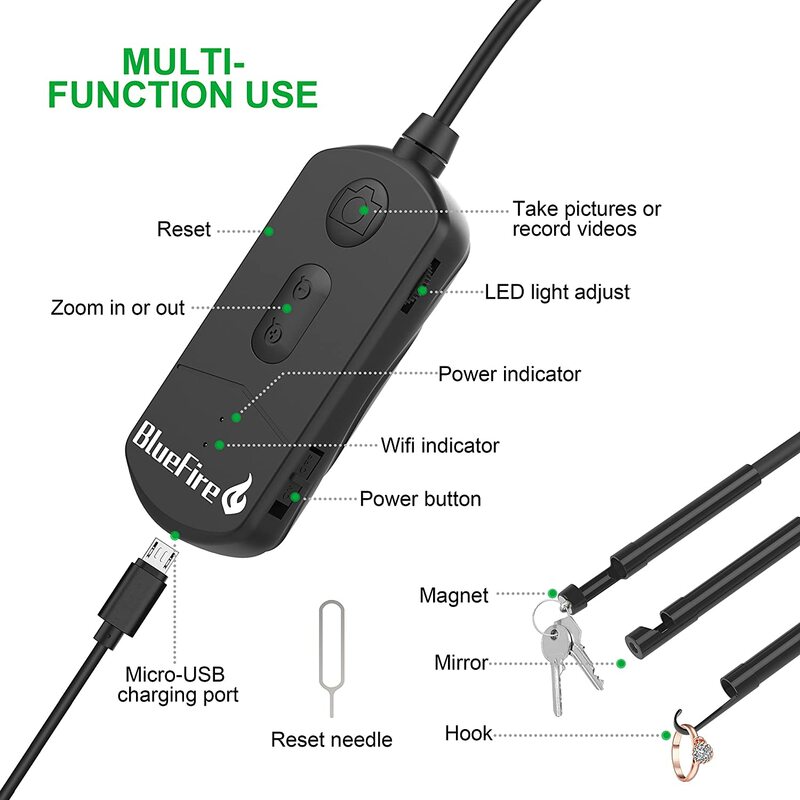 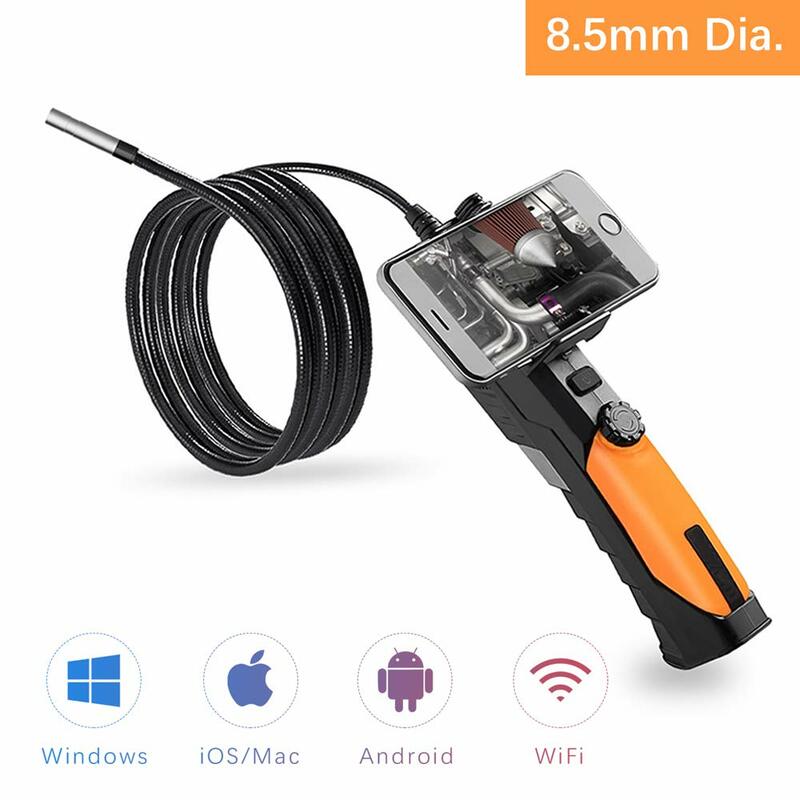 【High Capacity 1800mAh Battery】With REAL 1800mAh built-in Li-Ion battery, its working time can reach 2-3 hours, which is MUCH LONGER than most of other wifi borescopes that last LESS THAN one hour. 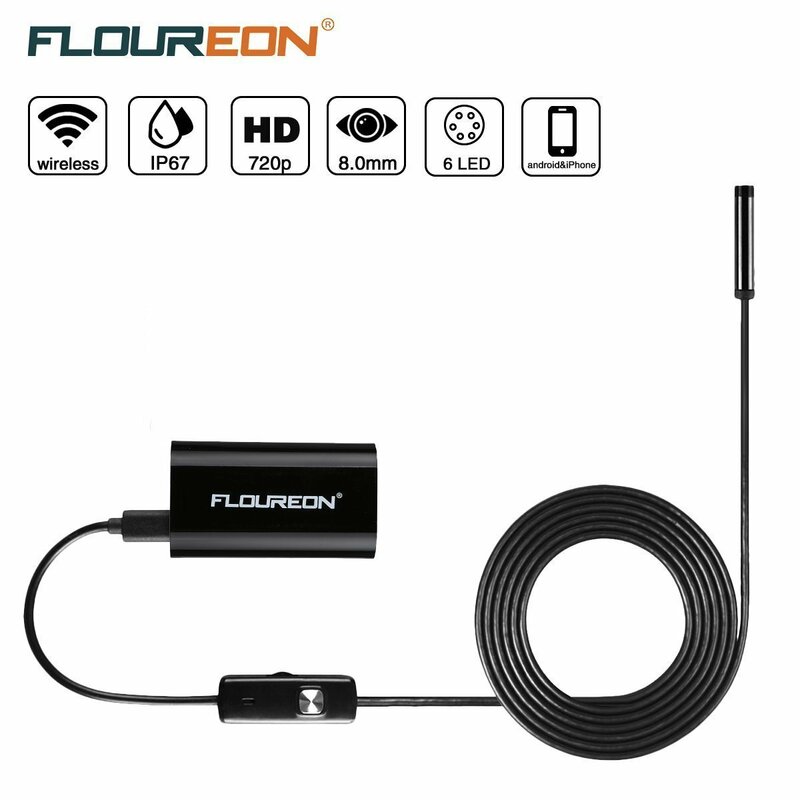 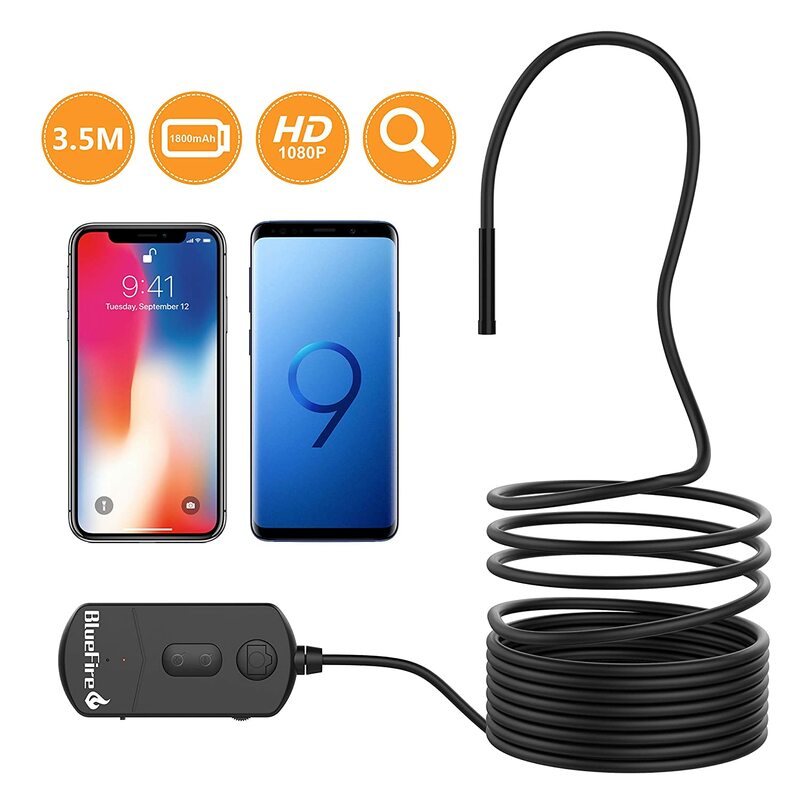 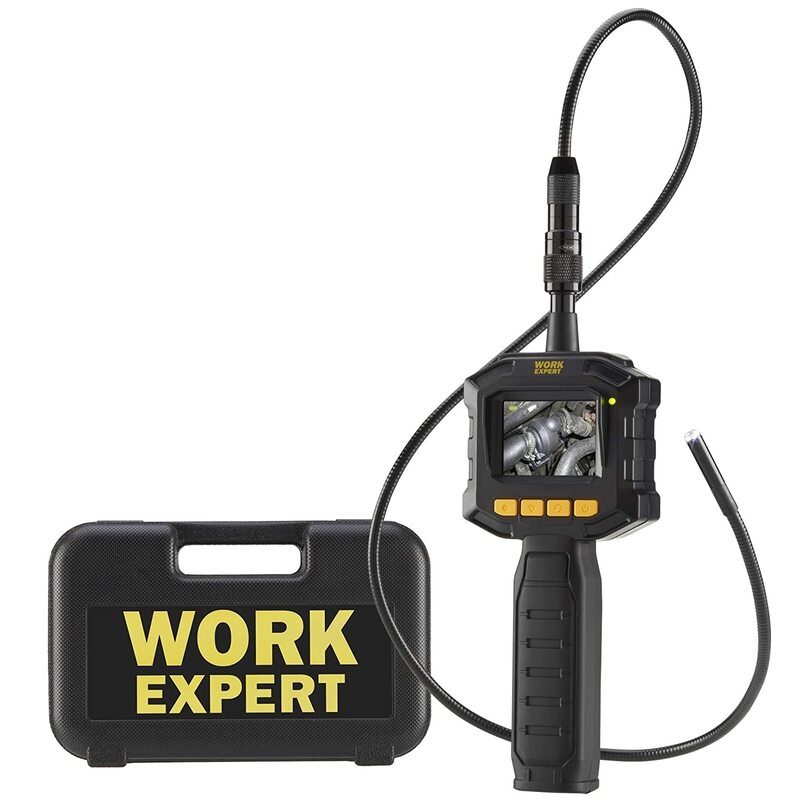 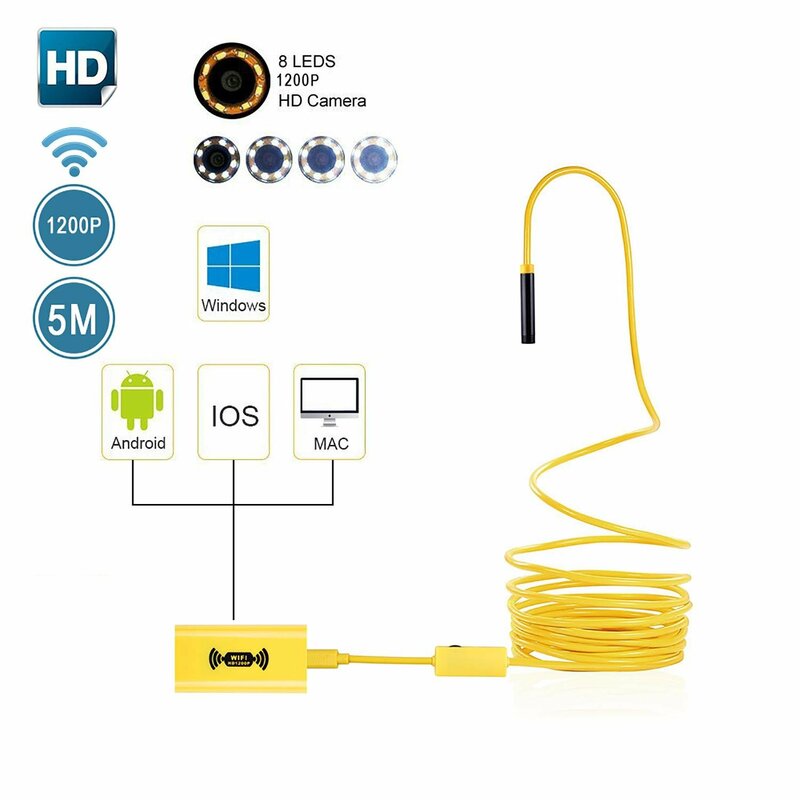 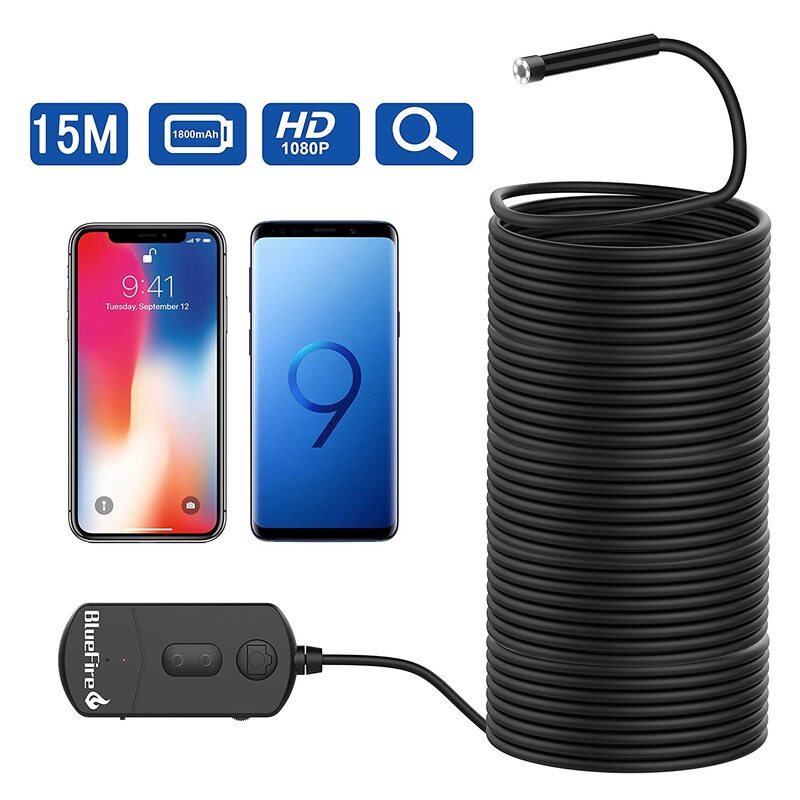 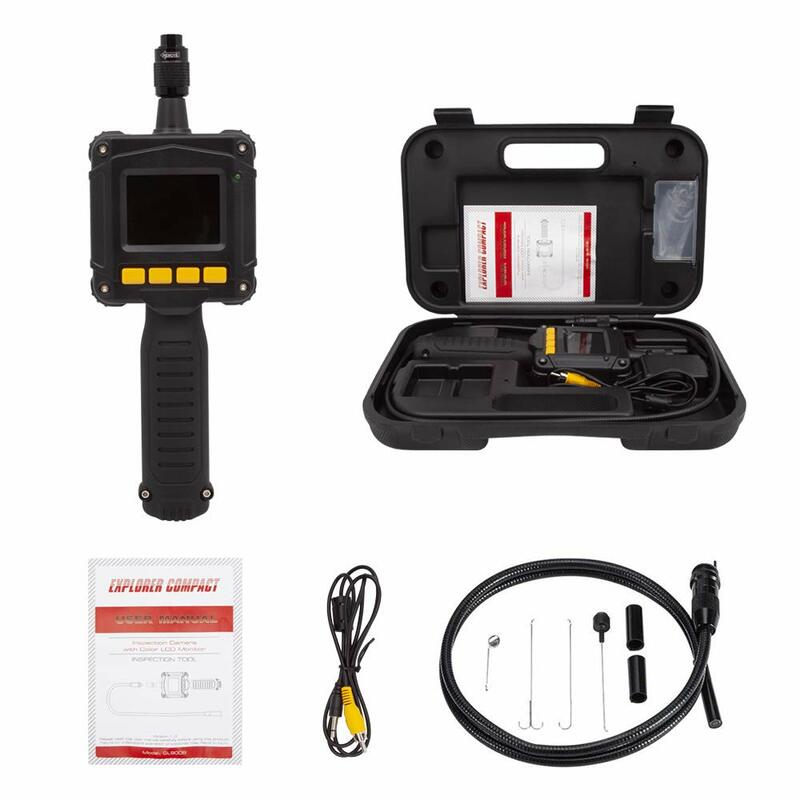 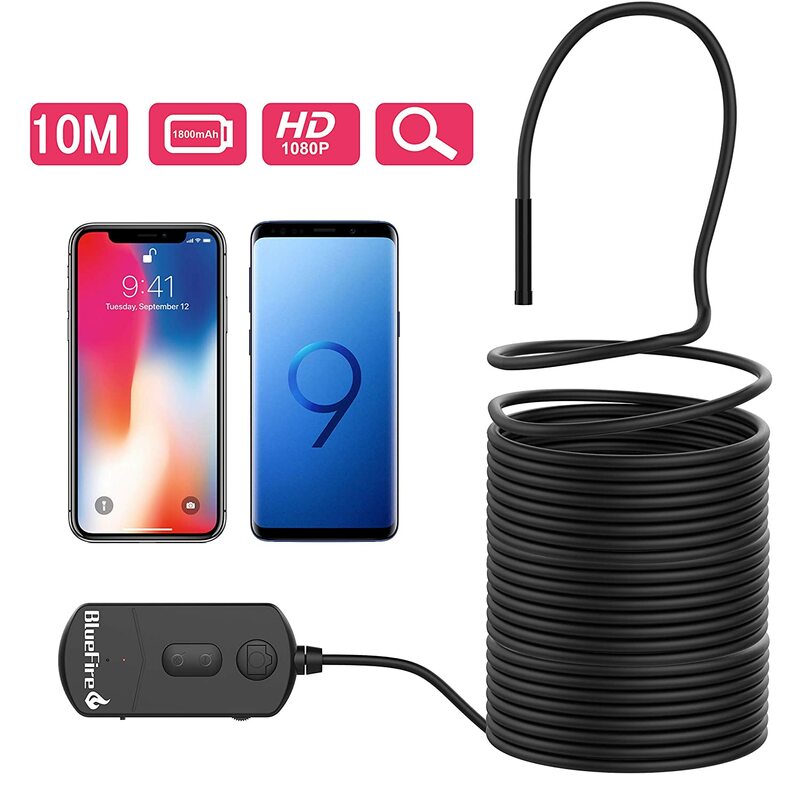 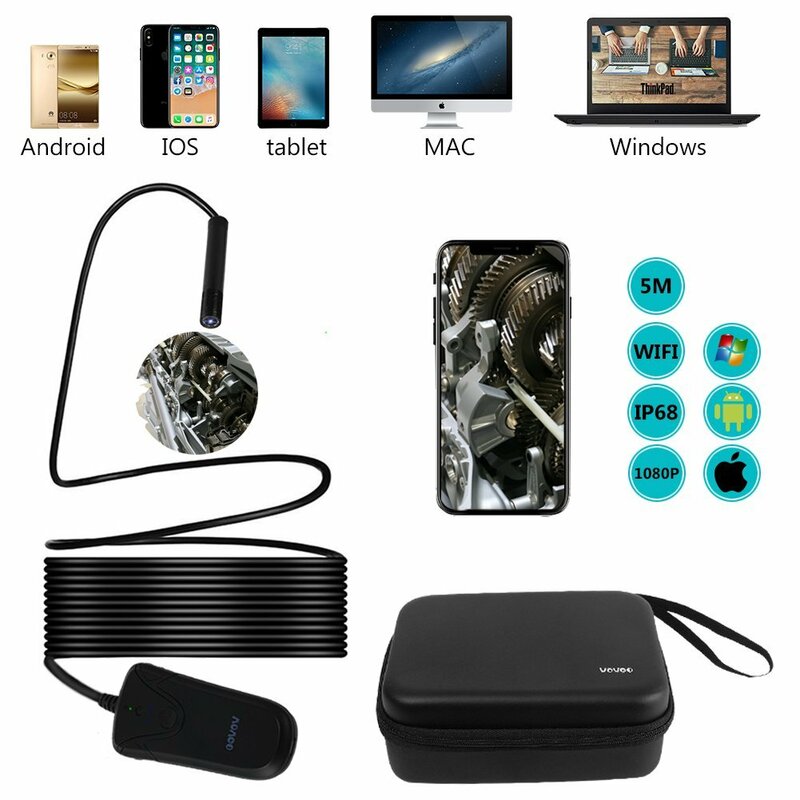 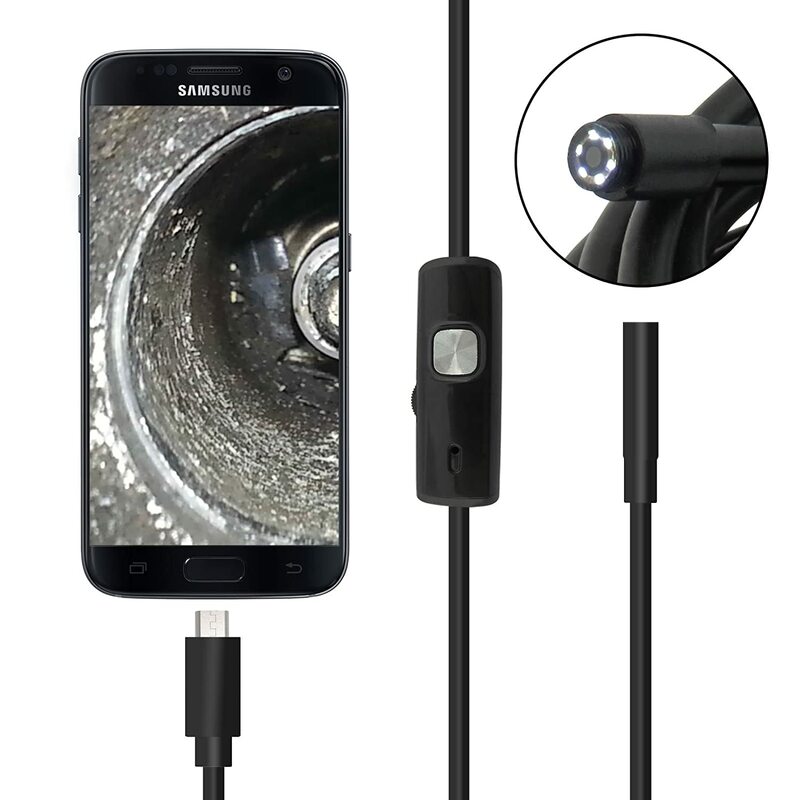 【Real 1080P Resolution Camera】This borescope inspection camera has 3 HD resolutions(1920x1080, 1280x720, 640x480), if you choose the 1920x1080, you will see the SUPER CLEAR pictures or record HIGH QUALITY videos. 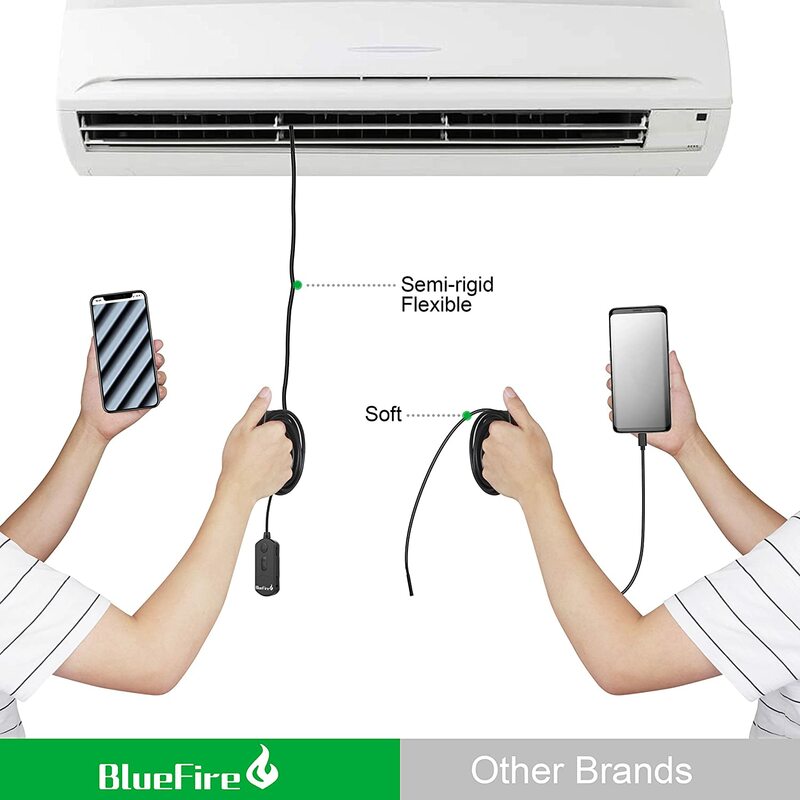 【Easy to Set Up】Download APP on Google store or APP Store, Connect your smart device via WIFI, Open the APP and the live video will show up on the screen. 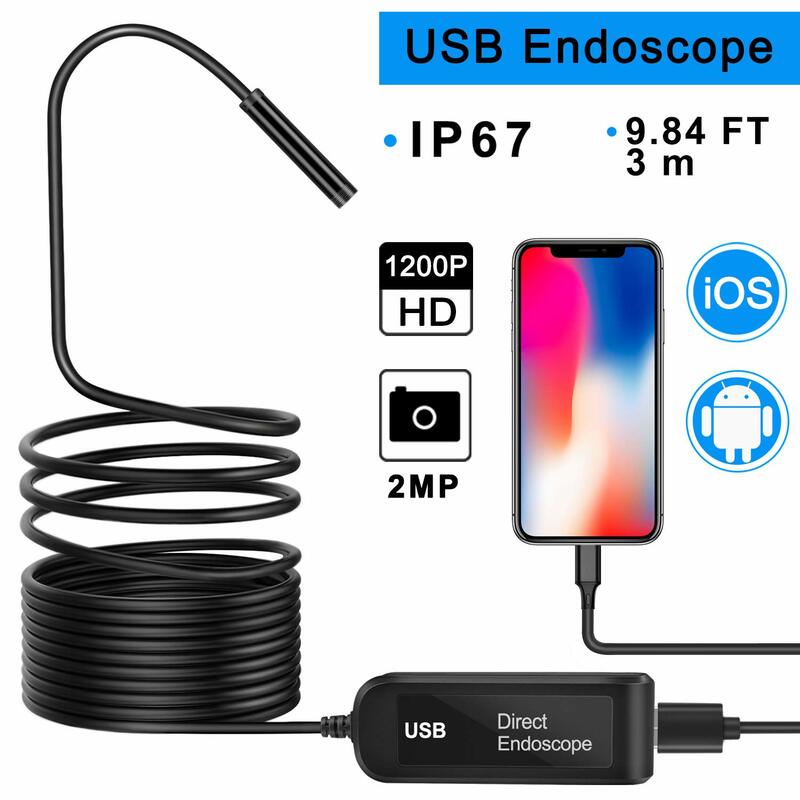 PLEASE DON'T RESET THE WIFI PASSARD BY YOURSELF, OTHERWISE THE ENDOSCOPE WILL BE USELESS. 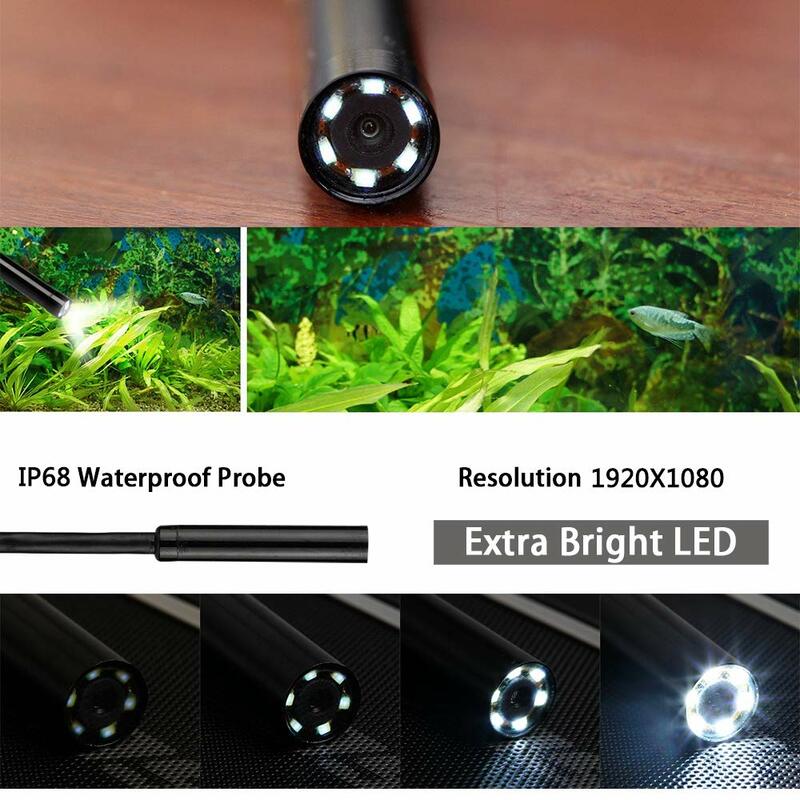 【15m SEMI-RIGID CABLE & IP68 Waterproof】Featuring 15M super long semi-rigid cable, which can bend and hold it's shape to access a wide variety of confined place, such as curved holes or pipes. 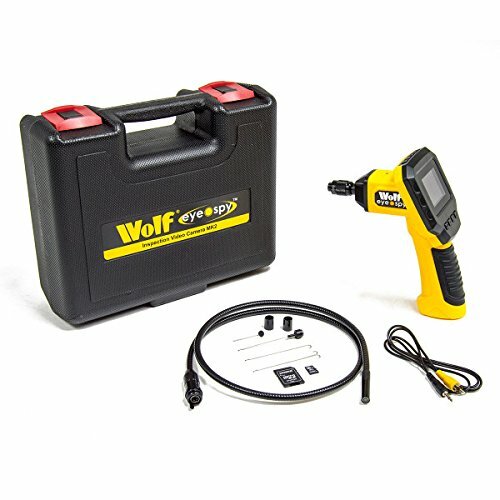 Brilliant piece of kit at an amazing price. 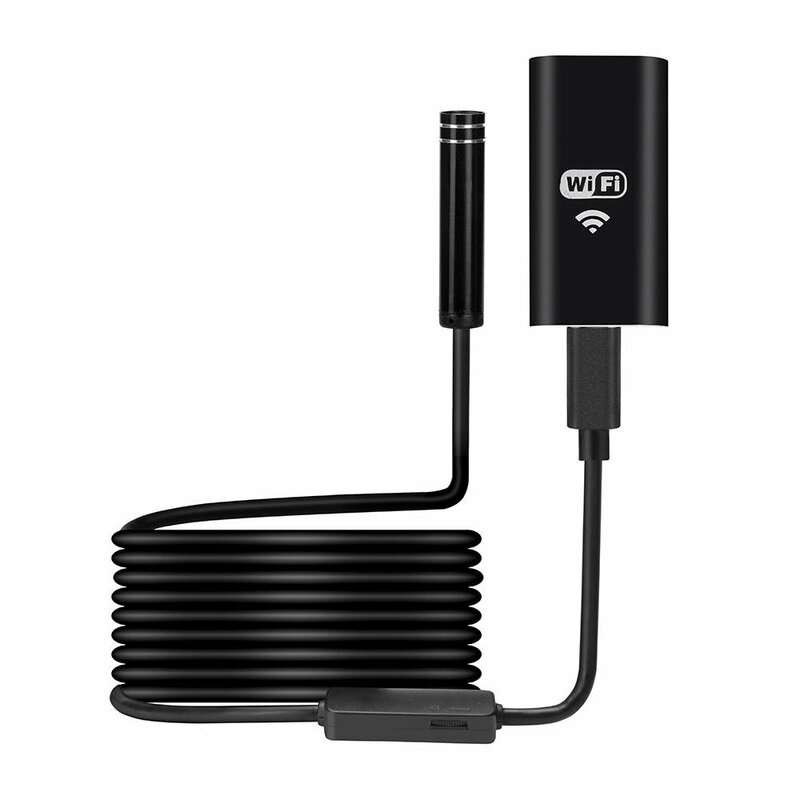 Only downside is in a busy WiFi area it doesn’t connect or when it does it has a delayed image. 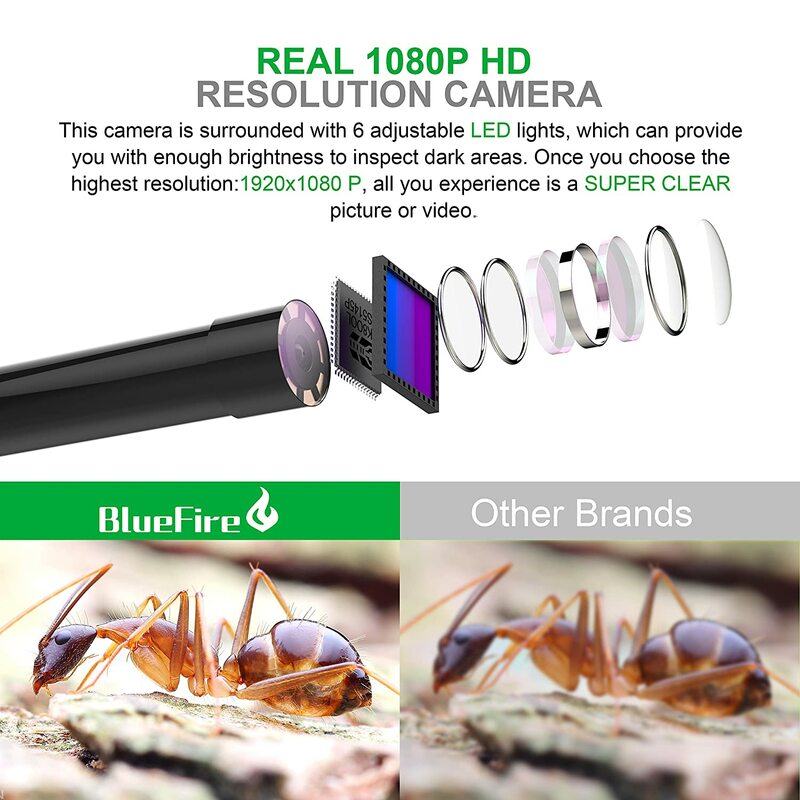 Maybe need an expert opinion on fixing these issues? 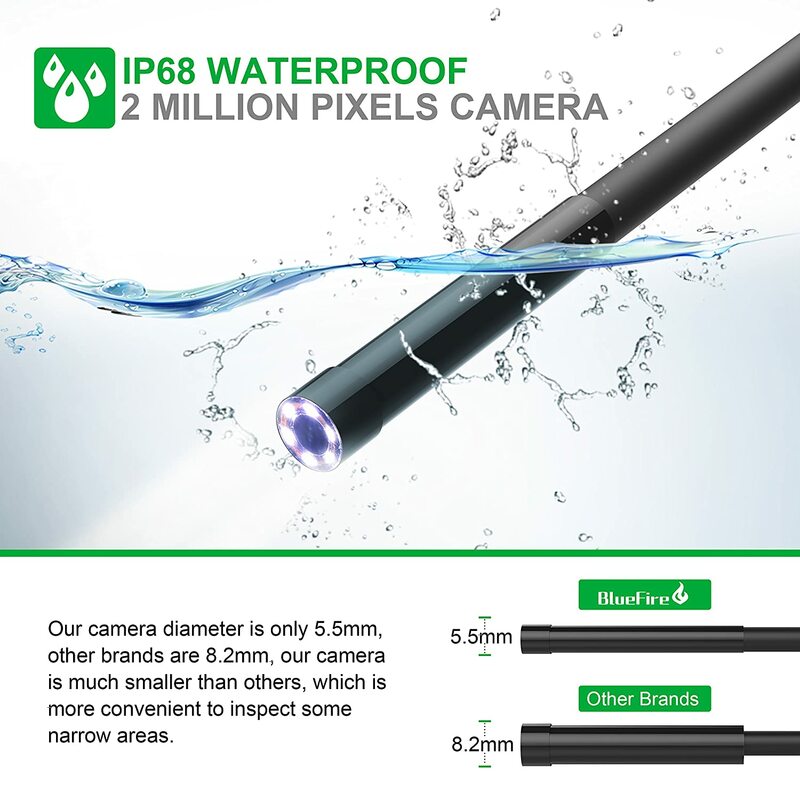 I quite like this camera, it seems to be waterproof as stated and has a good picture in low to medium light. 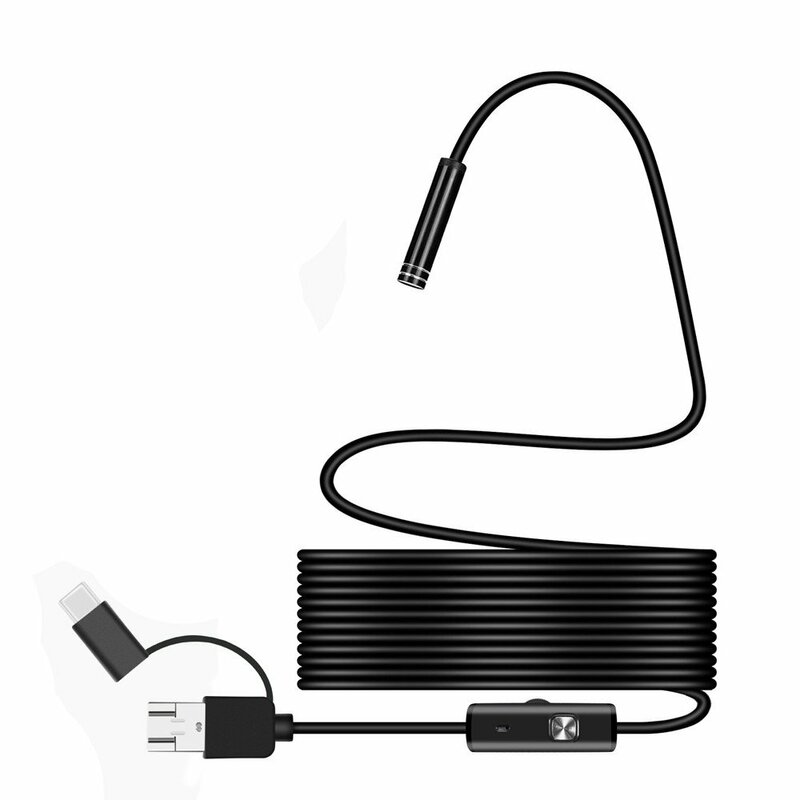 the focal length seems a little short and the cord is less rigid than I would wish. 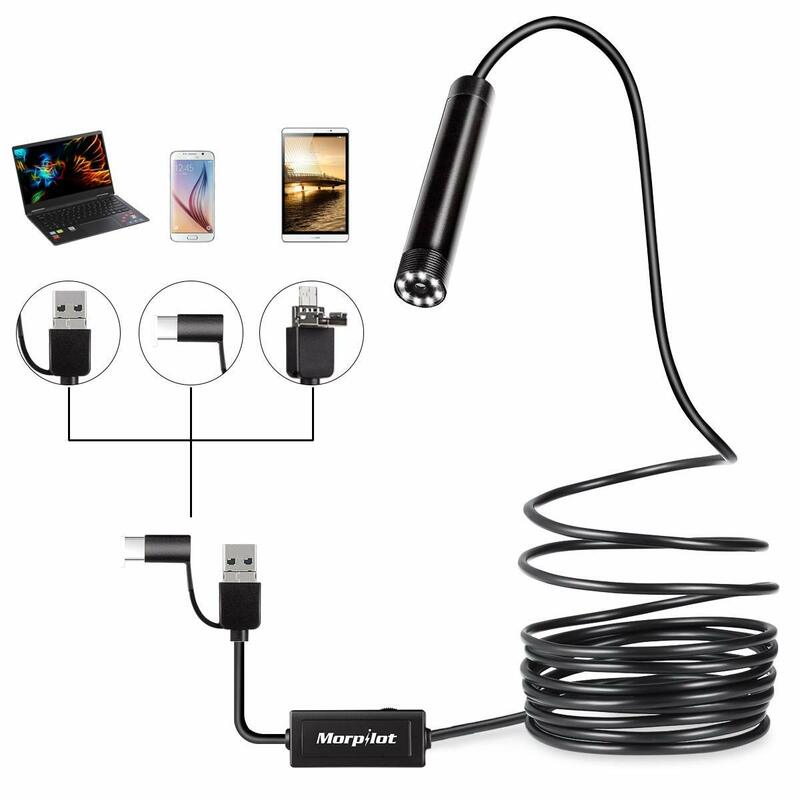 This item could do with a better hand book,I still don’t know what charger I should be using ! !